Tough and trusted.....protect your valuable equipment. These Jacks have shown they can operate smoothly and efficiently for decades of normal use - virtually maintenance free. When it comes to choosing a jack, equipment manufactures compare the field against the standard set by Bulldog. The finished look and thorough quality construction of Bulldog jacks make them a perfect match for the finest trailers. 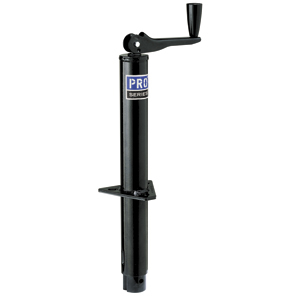 Bulldog HD Square Jack, Sidewind Direct Weld, Drop Leg 15" Travel, Lift Capacity 7,000 lbs. 1413040134 Fulton, the industry leader for high performance marine jacks, is proud to introduce a revolution in trailer jack engineering. 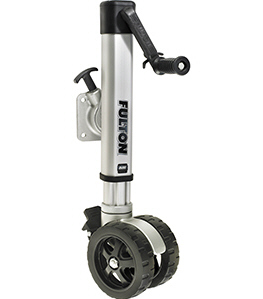 The F2, designed for use with marine, recreational and utility trailers, continues the Fulton heritage of innovation rethinking every feature and challenging industry conventions. The result is a reengineered high quality product that will transform the industry. 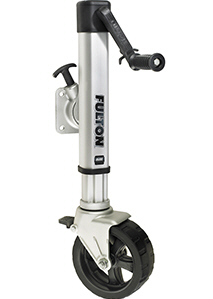 It’s so strong and reliable that Fulton is backing it with an unprecedented LIMITED LIFETIME WARRANTY. 500186 The makers of Tough & Trusted BULLDOG jacks present a Powered Jack with all the capacity and features you want.